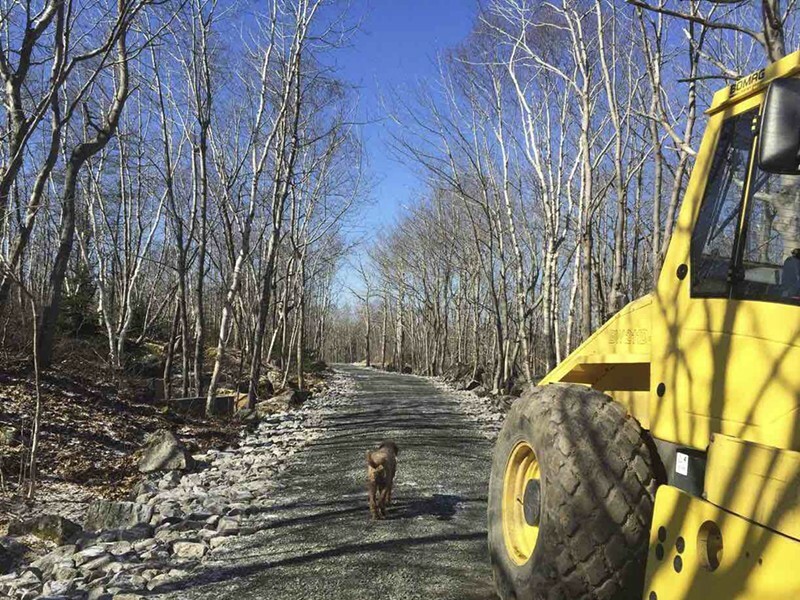 Some nearby residents say developers are “ruining” natural space with extra-wide trails. Some of the vehicles clearing a path at the Long Lake Provincial Park. Fifteen minutes from downtown Halifax sits over two thousand hectares of gorgeous green space. But some nearby residents say upgrades to the park are destroying the area’s natural beauty. “It’s absolutely ruining the park, at least that portion of the park,” says Lesley Hartman. Developers Polycorp and Atlantic Developments are in the midst of sprucing up Long Lake Provincial Park, which is near their Long Lake Village development. Peter Polley, founder and president of Polycorp, says the developers are investing over $600,000 into park upgrades. That will include building “proper access” off Northwest Arm Drive, expanded paths and a five kilometre walking trail system extending from Old Sambro Road to loop around Witherod Lake. Upgrades to the park have been planned since 2008, when the Long Lake Provincial Park Association asked the department of Natural Resources to develop a park management plan. But it wasn’t until last fall when Polycorp and Atlantic Development stepped in. “We thought, what a shame that there is this park that isn’t accessible to everyone,” says Polley. But Hartman believes some of the upgrades, specifically the path expansions, are unnecessary. “I think it’s excessive," Hartman says. "Even if you wanted a bike path, even if you wanted to make it more accessible, I do not see why you need an eight-foot-wide road." The “eight-foot-wide road” Hartman is referring to are actually two eight and 14-foot-wide gravel paths winding around and throughout the park. Wynne Jordan, another nearby resident, also considers the new trails to be too wide. Once the upgrades are complete, Polley says the entrance of the expanded trails will be blocked with large boulders—prohibiting vehicle access—while the turn around points currently used for trucks to get in and out of the park will be converted into resting spots with benches donated by the developers. The removal of the park’s trees to make way for the trails is another matter. Hartman says the site of the tree removal was shocking, particularly since this isn’t the first time the trees around Long Lake have been cut down. 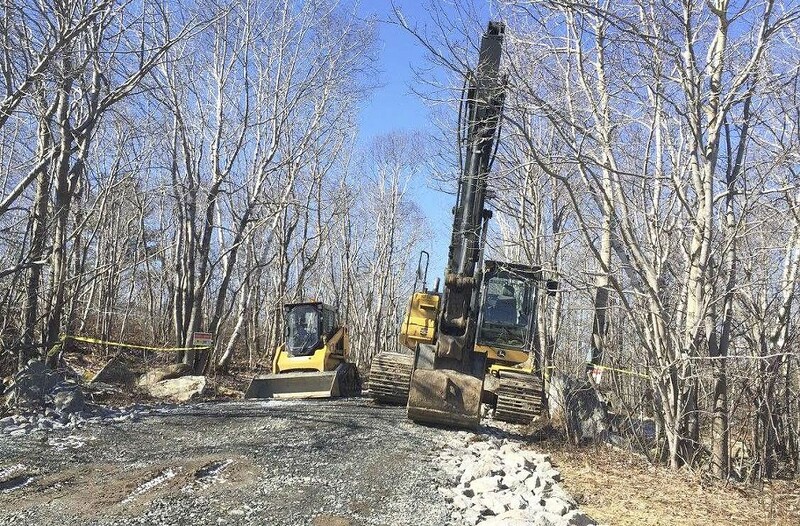 In late November last year an estimated 16 to 20 hectares of trees were removed alongside Old Sambro Road by an unknown party and isn't connected to the approved upgrades by Atlantic Developments and Polycorp. An investigation by the department of Environment looking into the clearcutting is now complete, but the province would provide no other details about the case other than that Crown attorneys are determining whether charges will be laid. Polley says there are no future plans of development by Polycorp or Atlantic Developments after the park’s grand opening on Earth Day, April 22. The up-keeping of the park will then be turned over to volunteers of the Long Lake Provincial Park Association. The LLPPA (who were unable to be reached for comment) have the ability to propose possible future trail connections to the province. A video guide to the city’s most controversial tree.